Nancy is Dr. Donald Theriault's chair side assistant and is in charge of the back office. She came to work here in our perio office after 20 plus years of experience as an assistant in all areas of dentistry. It's not an easy job, being Dr. Theriault's assistant but she does it very well; laughing at his jokes (however side splitting they may be) over and over again and listening to a very wide variety of music. 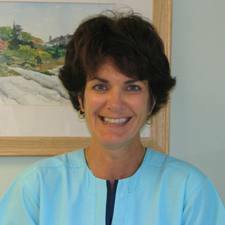 Nancy is especially good relating to patients and can reassure and put at ease even our most apprehensive patients. In addition to assisting and managing the back office, Nancy is licensed in radiography and inventories and orders all supplies in the office. If we absolutely have to get a very difficult radiograph, we call upon Nancy because she's the best. She is married with one daughter, enjoys reading, walking and spends some of her free time riding with her husband on their 4-wheeler.